As we edge towards winter, some lucky blighters out there receive parcels from loved ones containing knitted jumpers or perhaps hat, scarf and gloves sets. Alas, I’ve never had a person in my family that knits me anything. Well, that’s not strictly true. My aunt was a keen knitter, but family feuds ruined that potential opportunity for a steady stream of knitted goods. So really, it’s only fair that I recently received a hand-knitted tie from Penelope Cream. If you’re not familiar with Penelope’s work, she makes the most beautiful range of ties. Really, they are exquisite. I decided to go for Vesuvius Earth, a tantalising mix of orange with lovely earth tones. If you follow me on Instagram, you will know only too well that I’m slightly obsessed with orange and texture in general. I can’t get enough of the stuff so this tie is already a hot favourite. For it's first outing this week, I paired it with my old M&S tweed jacket that has an orange weave running through it, and my bespoke waistcoat made from Manx tweed. A true torrent of texture. 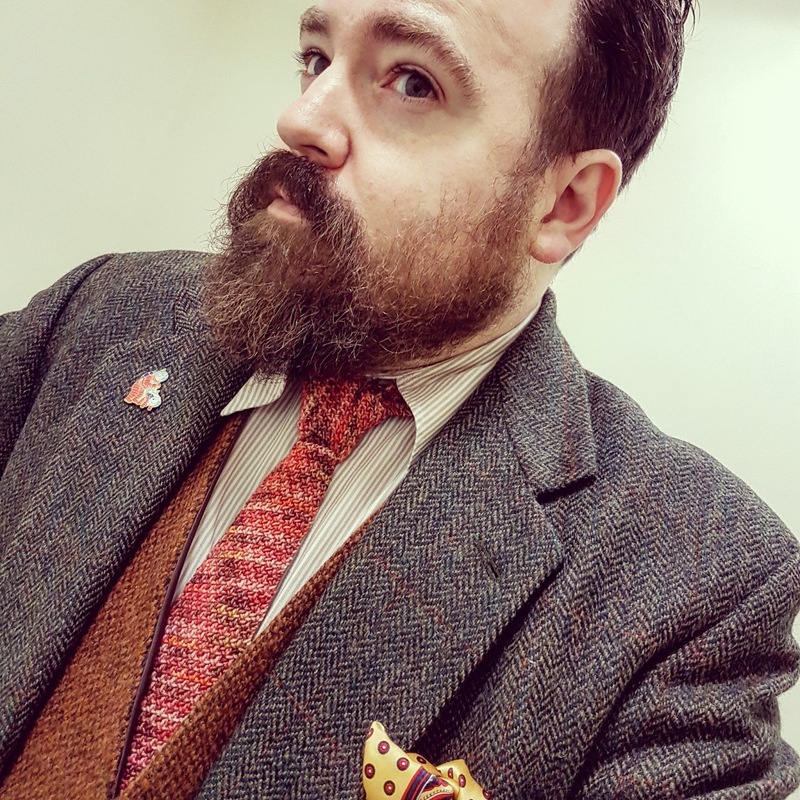 Given that Mount Vesuvius destroyed Pompeii, I do hope it's not in bad taste to wear it next week with my Rampley and Co pocket square, that depicts the destruction of both Pompeii and Herculaneum. Penelope Cream have been on my radar for a few years now so I really am tickled pink to now have one in my possession. 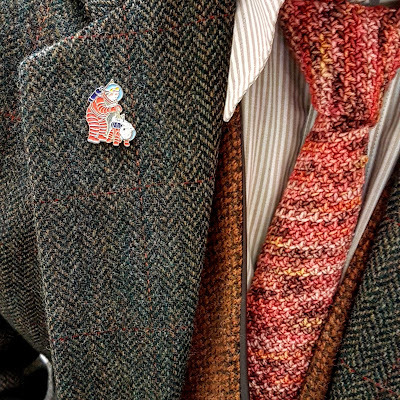 We see the words 'limited edition' bandied about a lot these days, but these ties truly are. They're lovingly made by hand by Penelope herself so each tie is unique. I'm looking forward to wearing it for years to come. 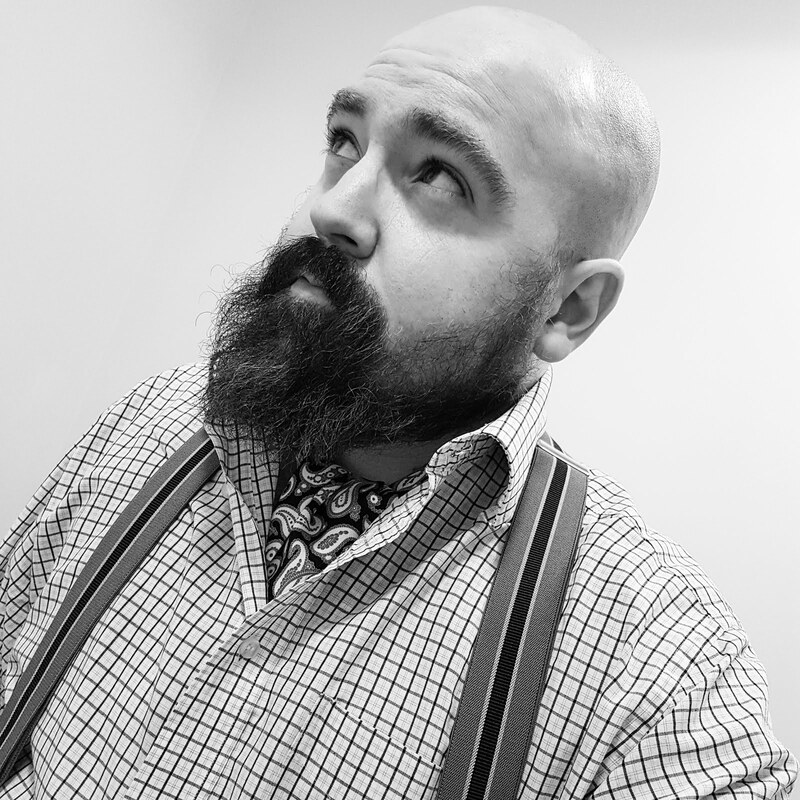 It's a statement piece, because it just looks so different from other ties available. But it's subtle, it doesn't shout and scream. It just has a presence. A timeless quality which fits perfectly with my general outlook on life. 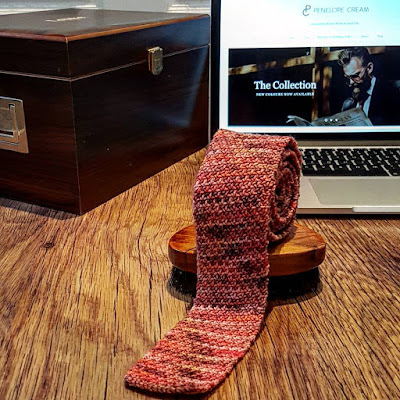 If you enjoy ties, texture or hand-made creations, do visit Penelope's new website, which has just had a makeover. And remember, Christmas is coming. You really do deserve a little treat.